The notes in an Irish air are long and mournful, often solitary against a backdrop of irregular silences and a wailing drone. They howl across the bowed lines of the musical staff and take their time to do it, wandering up and down the pentatonic scale before returning to a grieving refrain. The only rhythm that guides their progress is the tide of loss. 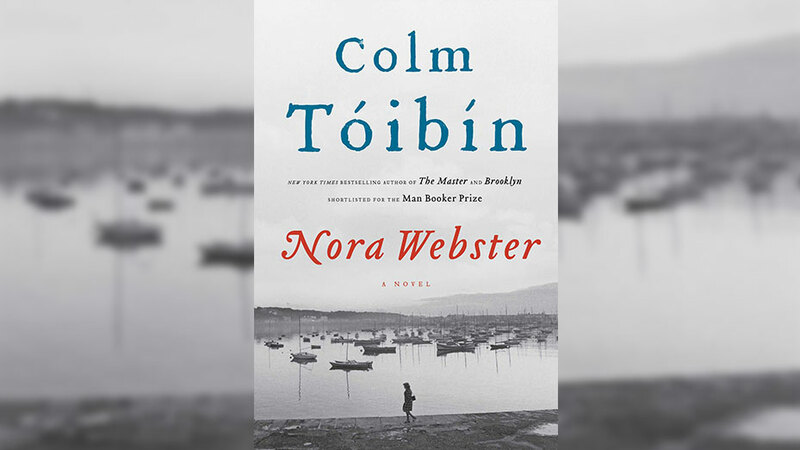 We could say, then, that Nora Webster, the newest novel by Colm Tóibín, author of The Master and Brooklyn, is a kind of air. It is abundantly clear on every page that Nora Webster is the work of a virtuoso whose mastery of English prose is intimately connected with a discriminating taste and a keen awareness of what speaks loudest when left unuttered. Tóibín has used these rare qualities to create a serene, deeply necessary work of art—a soft-spoken refuge in a time when writers often feel obligated to write as loudly and spectacularly as possible. He writes with Hemingway’s vital understatement, but where Hemingway’s prose feels lean, Tóibín’s feels uncluttered, attentive, and composed. In a famous scene from Amadeus, the tremendous 1985 film about the life of Mozart, Emperor Joseph II tells the young composer about his most recent opera, “There are simply too many notes.” Tóibín has managed to use just as many notes as there should be. In doing so, he allows moments of wordlessness to speak for themselves about something that is defined by silence: death. Nora is newly widowed. Maurice, her husband, has died young after a difficult illness when the novel begins. She is left with their four children—Fiona, Aine, Donal, and Conor—and the oppressive weight of social life in rural Ireland, a burden she now must bear alone. Fiona and Aine are old enough that they live on their own, but Donal and Conor are still in grade school. Nora must juggle her responsibilities as their mother with her own struggle to come to terms with the death of her life’s love. Her world is not full of the sturm und drang that we might expect to encounter in fiction, however. Nora Webster is a portrait that is as honest, frank, and seemingly unadulterated as, well, real life. What happens when someone dies? He dies and other people do not. If you pull back far enough and look at Nora Webster, that is the essential structure of the novel. What does the life of the person who lives look like? It is similar to the life she lived before and different in ways both obvious and secret. Nora is now alone in a real, practical sense: she cannot consult Maurice about the children, each of whom endures his death in a unique way. Conor, the youngest, asks questions constantly, as if he is always trying to ascertain the boundaries of a reality that was disrupted. Donal develops a stutter he never had while Maurice was alive. Aine becomes politically active in the Ireland of the 1970s, during the Troubles, a time of violent conflict between those who wanted Northern Ireland to remain a part of the United Kingdom and those wanted a united Ireland. But Nora still lives in a small, close-knit community, one whose constant condolences and, later, judgment begin to smother her. She is forced to find a new way to be, which is the true work of mourning. The novel is difficult to quote. Its most powerful moments are, paradoxically, not written down. They come in the form of a shared glance or an abrupt ending. Like the epiphanies that center each of the stories in James Joyce’s Dubliners, the pivots and turns in Nora Webster depend upon unexpected understanding that often occurs between the novel’s written lines, moments through which the characters shine in the light of a private, intimate essence. Tóibín is adept at punctuation; the point at which he ends a section or a chapter carries enormous significance. He also rejects the sort of dramatic construction that we take for granted in a narrative. Early in the novel, Nora approaches her aunt Josie about Donal’s stutter, which appeared while Maurice was dying and the boys were staying at Josie’s house. A dim sense of foreboding blankets the pages as Nora suspects something happened during the months when the boys were away. 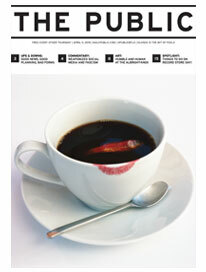 The reader anticipates some disturbing revelation, child abuse or something, but nothing of the sort arrives. The text does not preclude that possibility, but as time passes it seems more and more far-fetched. We cannot escape the novel’s steadfast commitment to realism, though we may fantasize about clandestine dramas and artful designs. Nora, too, must remain grounded, firmly in the present tense, no matter how much her heart may demand that she join Maurice in the past, or in death. Amazingly, Tóibín creates vivid characters without ever really describing what they look like. He has foregone the visual descriptors that we often take for granted in fiction. Instead, we have the characters’ words, what they choose to say and, perhaps more importantly, what they choose not to say, what they cannot say. His depiction of Donal and Conor is astonishingly accurate. They act as young boys do, with curiosity and moodiness and vulnerability. Tóibín does not shy away from the heart-breaking moments when Nora feels how she and her sons are at once intimately close and irremediably separate. After she returns to work at a department store, which her financial situation demands, the boys have to stay home alone for several hours after school. One day, she comes home and sees that Conor has been crying. Try as she might, she has no choice but to accept that nothing will allow her to know what has gone on between the boys during those hours and that the guilt she feels at having to work again may never dissolve. Consider Hemingway’s story, “Hills Like White Elephants,” in which the two main characters refuse to discuss explicitly a secret that the reader comes to understand by virtue of the small references and gestures in their conversation. In contrast, Nora Webster does not posit any knowable secrets. It bears witness to the impasse that lies at the end of all interpretation. There is a limit to understanding, there is an end to life, and the novel’s characters emerge in relation to that impenetrable border. Nora’s visual anonymity allows her to stand for something much larger than herself. Her struggles, which are always struggles that anyone in her position would plausibly experience, are both specific and metaphorical—they mean more than they seem. Tóibín’s real achievement lies in writing a novel that functions on the small scale of daily human life and on the cosmic, timeless scale of the human experience. As the end of Nora Webster approaches, it becomes clear that everything will more or less be all right because that is how things turn out in real life, too. Nora will experience certain challenges and overcome some of them, the boys will live through both happiness and sadness, people will die and people will live, day turns into night and then back into day. Nora Webster knows that and celebrates it with the unassuming deftness of the wind among the reeds.